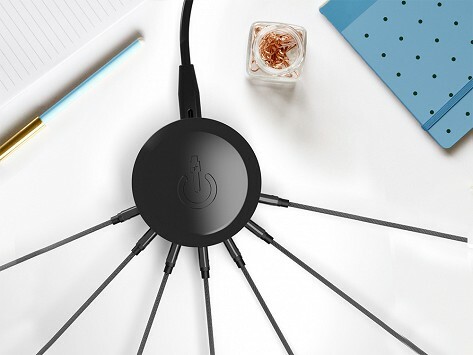 The ChargeHub X7 Signature Series can charge up to seven USB devices simultaneously, with 45 watts of max total power. 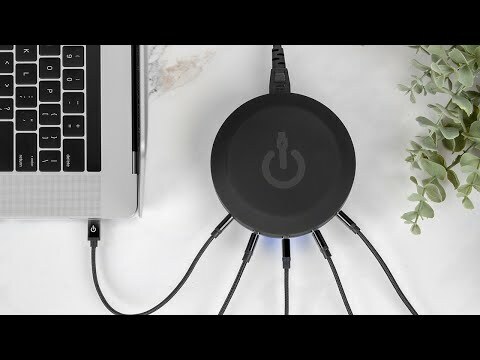 The unique technology of the ChargeHub X7 Signature Series allows for a powerful charge to be delivered to multiple devices all while using only one outlet. As a result, this creates a neat and organized space and eliminates excess cables, multiple outlet usage, and clunky power strips. Dimensions: 5.5" x 3" x 8.5"